That means that 80% of your Time, Money and Effort should be on retaining the top 20% of your existing business and the customers who make up that business. 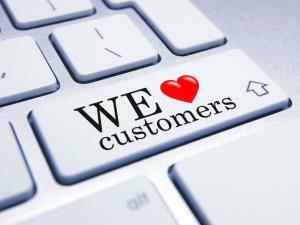 Retention is the ability to continue doing business with your current customers. Your company needs a retention plan and process that is Proactive, Consistent, Informative, Thankful & Visible. Contact should be varied in both method and message. Every part of the “customer experience” that you can control should be considered and examined. Always identify and keep in mind those people and things that influence your customer. 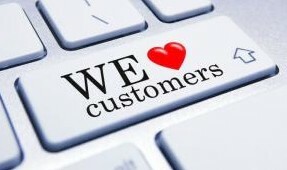 Customer Service, Services Agreements and Warranties are a very important part of retention. Build an Imaginary Wall Around Your Customers to keep them happy and the competition out. Bonus: Happy top 20% customers make great referral sources. It’s important to keep track and ask for more referrals. InSight Marketing Solutions is a full-service marketing company, providing consulting services from planning to completion. This includes strategic marketing plans, social media and website integration, search engine optimization SEO, Blogs, email marketing, branding, customer retention and referral, advertising, promotional items, events, public relations, community outreach and fundraising. InSight Marketing Solutions works with businesses of all sizes nationally, regionally and in the Hampton Roads cities of Virginia Beach, Chesapeake, Norfolk, Portsmouth, Suffolk, Newport News, Hampton and Williamsburg. Even knowing she had other clients I couldn't help but think we were her only client based on the effort she devoted to us. To use the vernacular, she is the real deal!